Many families have discovered Thailand and its wonders, a winning combination of exotic culture, unique foods, magical islands and of course, shopping. Surprisingly, however, the tiny island country of Singapore only two hours of flight away from Bangkok has not yet become a popular family destination, and is frequented mostly by businessmen. Everyone who heard that I was going to visit Singapore told me: One or two days will be enough for a trip there because there is hardly anything to do besides shopping. 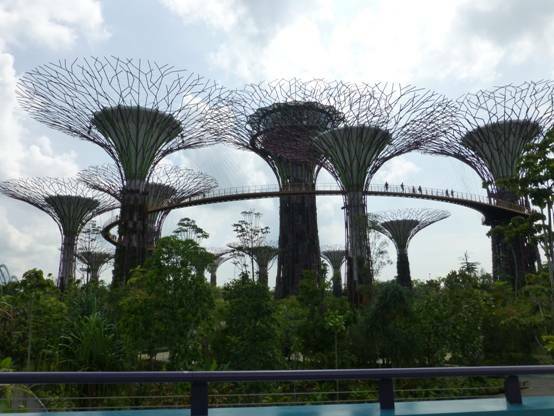 But the more I read and the deeper I delved into the many successful and diverse attractions Singapore has to offer, I realised one must spend at least four to five days there in order to see the best of them. 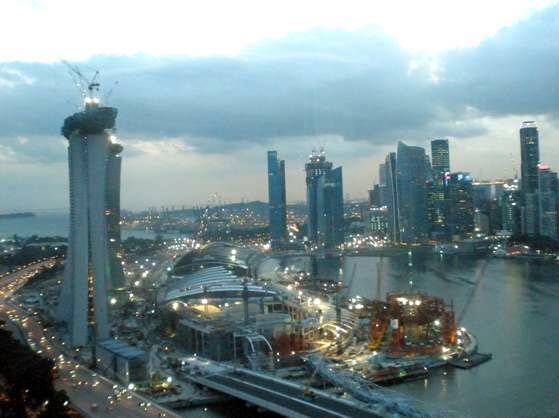 Singapore is currently experiencing a massive wave of construction. In 2010, two huge projects were completed: The first is Marina Bay, which consist of a gigantic convention centre combined with Singapore's first ever casino and an enormous complex of hotels, restaurants and shopping malls. 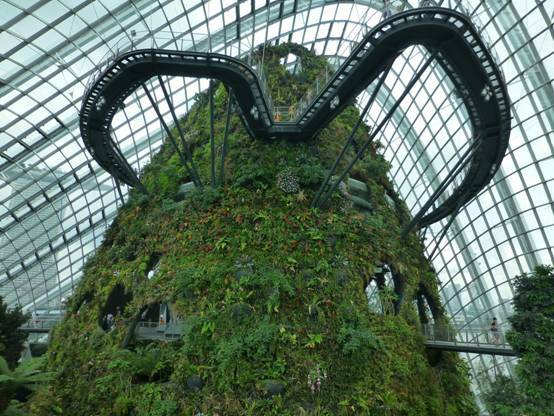 Near the Hotel you can find beautiful gardens of HUGE Trees Structures called: Gardens by the Bay. The second project is Resort World, which include, besides six hotels, a variety of restaurants, clubs, and Singapore's second casino, the number one family attraction in the country: Universal Studios (the first one in Asia), an amazing theme park full of all-new rides, many of which were developed and built for this park and do not exist in the U.S. Universal Studios. This is a vast theme park undoubtedly one of the leading family attractions in all of Asia! The park contain 24 attractions, 18 of which were built especially for the Singaporean park. Close to the theme park there is an impressive water park, called Aquarius Water Park. 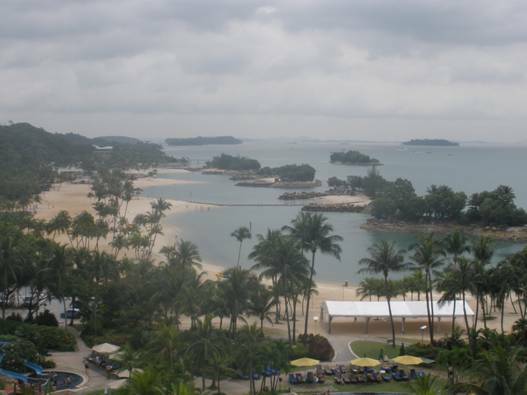 Resort World is located in Singapore's island resort, Sentosa, which served as a military base in World War Two but since more than 15 years ago has become the number one family vacation spot in Singapore. 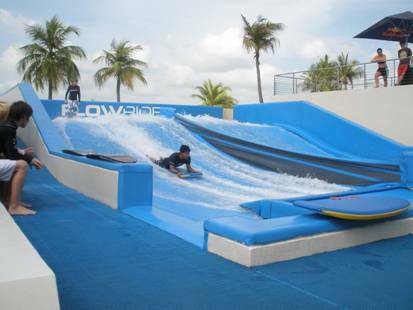 There is the Wave House, where you can surf high waves in two different wave pools. This is in fact a wet simulator where you can learn to surf. 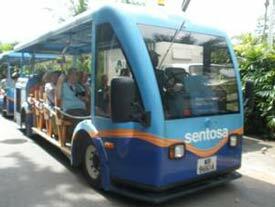 You can also embark on a guided Segway tour along the beaches or ride a bike on the many trails of the island resort. Museums are also aplenty on the island. The best one is Images of Singapore, which tells the story of the country and its inhabitants in an involving, interactive fashion. 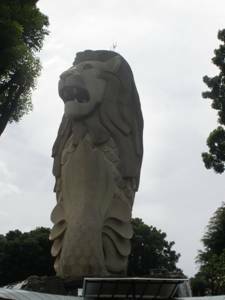 The Merlion, symbol of Singapore, a giant 37-metre statue of a lion with a fish tail, also contains an attraction within it where you can learn about Singapore and the tale of its discovery. From the top of the lion's head you can see a breathtaking view of the harbour, the heart of the city and the entire island. At night-time the statue is impressively lit and its eyes shoot laser beams. Other attractions of the island resort are a 4D theatre, Sentosa 4D Magic, a large simulator, Sentosa Cineblast, and a special new simulator called Desperados where up to 20 people can watch an animated film and become active participants by shooting lazer guns at the screen. Fans of nature and animals will also find plenty of things to do on the island: Nature trails in a rainforest, Butterfly Park and Insect Kingdom, an aquarium by the name of Underwater World, a dolphin lagoon, and a bird park. New attractions are being built here as well, for instance, a free-fall simulator. Twice every evening in the island resort there is a beautiful show of lasers, water, fire, animated 3-D characters and fireworks, called Songs of the Sea. 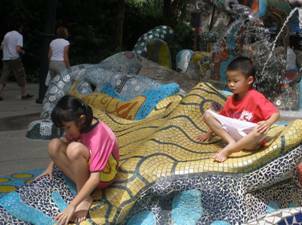 Singapore has many things to offer families outside of Sentosa as well. The zoo offers a great variety in types of monkeys. 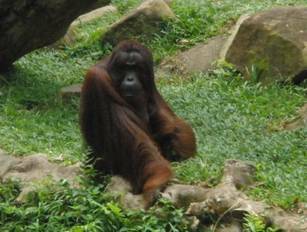 The most famous animals there are the Orang-utans, which have a huge area all to themselves, and the white tigers. 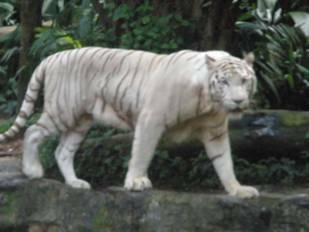 The zoo hosts several quality animal shows and many feedings and explanations. Nearby is the Night Safari, where visitors ride special tour cars among many nocturnal animals and walk along the night trails with a guide who will show you the animals in their natural habitat. Additionally, the Night Safari hosts animal shows and a tribal show with fire and dancing. Bird lovers will not be disappointed in Singapore, either. Jurong Bird Park is considered to be one of the biggest in the world, containing over 600 species of birds. The bird park also offers a number of shows. Singapore is a most modern and advanced country, yet it has plenty of traditions and several diverse cultures. 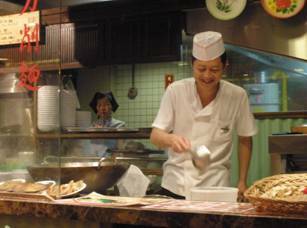 Its population (about five million total) consists of a unique mix of Chinese, Indian, Malay and Eurasian people who proudly conserve their cultures, traditions, languages and, notably, their foods. In one day you can visit Chinatown and Little India and feel like you've gone back in time, and then go back to modern day by visiting the country's enormous shopping malls. Singapore's first language is English, so it is easy to find your way around. Besides English, you will hear several other languages. The second language is Mandarin, but Malay and Tamil are also frequently heard. In short, it's a tower of Babel that's organised and well taken care of, where all the residents live in peace and tranquillity. Singapore's motto is four words: Community, harmony, family, and friendship. It's enough to make one jealous. 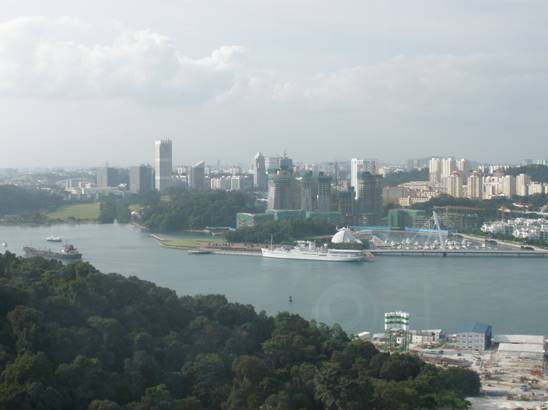 The weather in Singapore is tropical: hot and humid all-year-round due to its location near the equator. If you want to cool down a little (besides inside the air-conditioned malls), you can visit Snow City, which contains 150 tons of snow and a multitude of winter activities such as skiing and snowboarding. 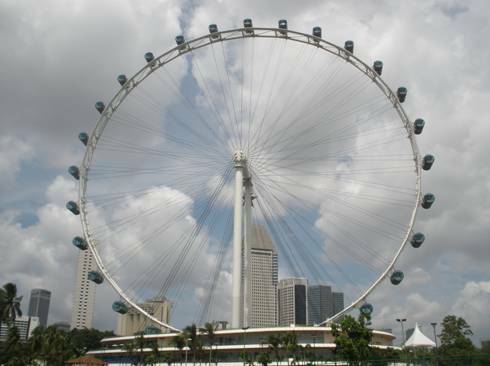 The best and most impressive way to view Singapore from above is to board the Singapore Flyer, the tallest Ferris wheel in the world at a staggering 42-story height. A full round in the wheel takes half an hour, during which you will be able to appreciate the many impressive modern buildings of the country. A beautiful 360° panoramic view will reveal itself to you go up the 132 metre tall Tiger Tower, located at the highest point of Sentosa island. I recommend purchasing a combined ticket to the Singapore Flyer and the Singapore Duck. The Duck is an amphibian bus which tours Singapore for an hour per tour, partly driving on land between the governmental and cultural buildings in the centre of the city and partly sailing on the river from which you can see the beautiful view of the city with its skyscrapers and symbols. Electronics fans and tech whizzes will enjoy visiting the two shopping centres which specialise in this field: Funan Digitalife Mall and Simlim Square. Singapore's main shopping street is Orchard Road. This street houses dozens of colossal, beautifully designed, luxiourious shopping malls. 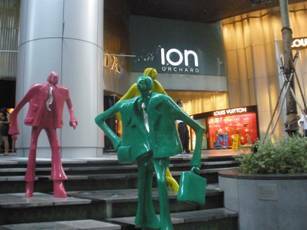 This place is best for window shopping and admiring Singapore's #1 past-time: Shopping. The centres are interconnected by bridges and underground tunnels. Many of them have escalators which can take you straight from the first floor to the fourth floor, or even higher! 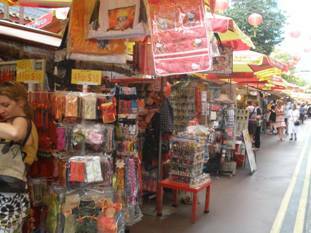 Unlike in Thailand, here you cannot haggle over the prices of things, but you can be sure that you get a fair deal. Singapore is more expensive than Thailand but still cheap compared to Europe, Australia, New Zealand and even the U.S.
Travelling in Singapore is easy and convenient. This is a tiny country of only 683 square metres. Forget about long, time-wasting car rides. Everything is close by! The city has excellent public transport including a subways, monorails and buses. 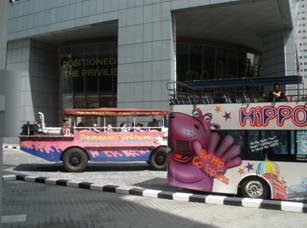 Additionally, various touring companies operate tour buses which travel between famous and popular tourist attractions. For a travelling family, the easiest and cheapest way to travel is by cab. They are readily available and inexpensive. Their prices go up by 30% during rush hour, between 7:00-9:30 in the mornings and between 6:00-8:00 in the evenings. After midnight, the price is 50% higher than normal. Singapore is a safe and friendly country. It is considered to be one of the safest countries in the world. It is also, without a doubt, one of the cleanest and greenest countries in the world. Singaporeans are very friendly and pleasant. Most of them seem happy to meet foreigners and learn about their countries. 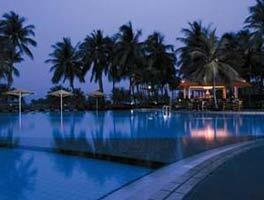 A combination of a trip to Thailand with a trip to Singapore is a winning combination. These are two Asian countries which are completely different from one another but are both wonderful for a family on vacation. Availability of flights between Thailand and Singapore is very high. There are plenty of flights from Bangkok or Phuket to Singapore and back, including Low Cost companies. 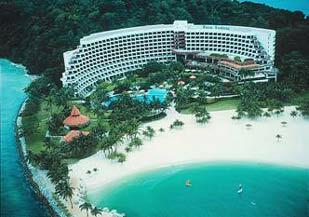 For families, I recommend staying in Sentosa Island, which is full of wonderful hotels. You can dedicate three days to the island resort and its attractions alone. Of course, you can also stay in one of the new resorts which completed in 2010. To my opinion, the best resort on the island for families to stay in is the beautiful Shangri-La's Rasa Sentosa Resort & Spa 5 star hotel. 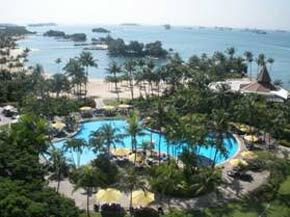 It is the only seaside resort in Singapore. It has plenty of family activities, including an active kids' club. 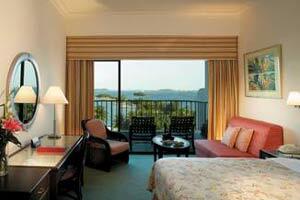 In 2010 the Hotel passed a major renovations, and add fantastic new facilities.